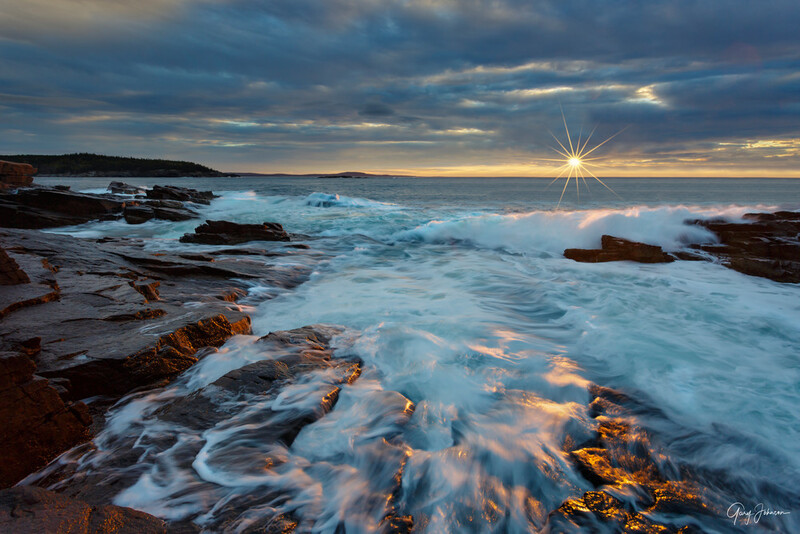 I photographed "thunder Hole Sunrise" in Acadia National Park on Mt. Desert Island, near an attraction named "Thunder Hole". As the water rushes in from the ocean waves a hole in the rocks makes an incredibly loud noise, like thunder. I captured this image as the water was rushing back out giving it a beautifully soft feel as the rising sun was reflecting off the white foam.